Retaining employees can have a huge impact on your company. Dr. John Sullivan from San Francisco State University has found that employee retention can lead to huge changes to your turnover. As we all know, turnover is a huge issue and the ability to impact turnover is a key to increase stability, growth, and success. However, few employers have invested enough time and effort into retaining their employees. It truly does not take much to invest in employee retention and the dividends can be huge. Your company is people, period. The best product or service is nothing with a good team to market, sell, and produce. Turnover has put many a company out of business and is easily lethal if not kept in check. Neglecting employee retention will result in numerous negative impacts. When an employee leaves a position vacant, their work is either pushed onto their coworkers or left uncompleted, which results in the loss of productivity within the company. This also costs employers a significant amount of time as there will be paperwork to finish, exit interviews to execute, and tasks to reallocate. Furthermore, if a key employee were to leave your company, others might follow. It is also difficult to replace key employees. Click on here to learn more about the effects of retaining employees on your company’s turnovers. In today’s digital marketplace, one can’t afford to have a less than stellar online reputation. Too much turnover can lead to bad reviews on sites like glassdoor.com where prospective employees will find potential ad reviews. This is a good example of how too much turnover can even affect future hires. We often times see candidates get very turned off from even one bad review online about company culture. One of the most neglected activities in companies is giving new employee orientations. However, did you know that giving orientations is the first step to increasing your employee retention rate? Day one orientation is your company’s first true impression on a new employee. They may have gotten to know you a bit via interviews but it is on Day one that they get a feel for your business the first time. New employee orientations will not only reduce their anxiety, it will also save supervisors valuable time. New employees who have been properly introduced to their new jobs will be less likely to seek help while still producing quality results. Orientations also help set proper expectations for new employees and introduce them to the values and culture of the organization. Most importantly, orientations will make employees feel more valued by their employers. Take advantage of this opportunity and it will go a long way! Click here to learn more on how to give effective employee orientations. Orientations are a good first step toward improving your employee retention. Add in things like monthly dinners or activities, company events and outings, quarterly strategy meetings, peer reviews, regular performance reviews, company contests, projects, and anything else that has people engaged, valued, nurtured, and having fun! It’s actually easy to create a culture that keeps people around. 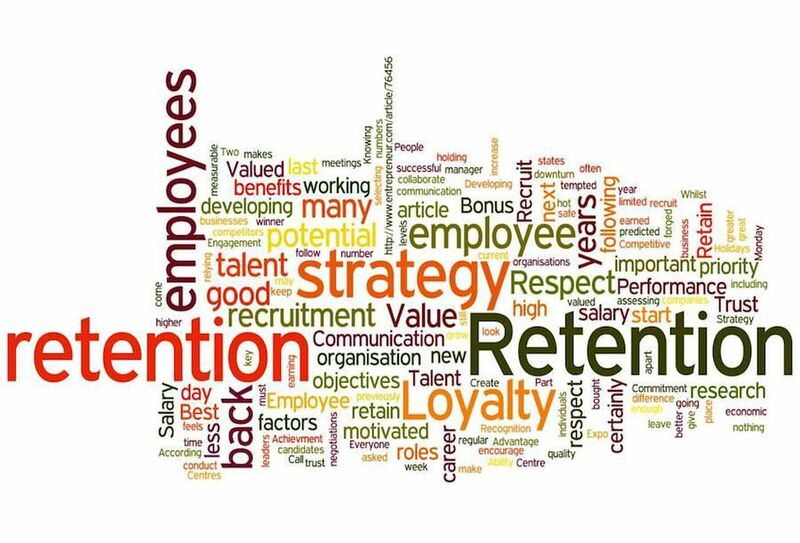 The return on investment of taking the time to improve your employee retention strategy is always big. This can make or break a great company. Pick one or two things to implement right away. Or survey your staff to see what would make a difference for them. One way or another start to improve so you can reap the benefits! "I can honestly say that I would not have considered the candidate based solely on their resume. It was your insight and functional expertise that identified such an outstanding candidate..."